While the third-party developers are still not showing interest in Windows 10 UWP apps, Microsoft is trying to keep the platform alive with regular updates for native apps. Microsoft’s employee Jen Gentleman has now revealed that the latest version of Windows 10 Calendar app comes with a minor new feature. Microsoft recently updated the Mail and Calendar application for Windows 10 PCs and Tablets with the ability to add more colours to your calendars. While it is a minor change, but it still improves the overall user experience as the different colours differentiate the calendars. “With the latest Windows Insider version of the Calendar app, you now have a ton of different colours available to differentiate your calendars,” Microsoft’s Jen Gentleman said in a tweet to the Insiders. 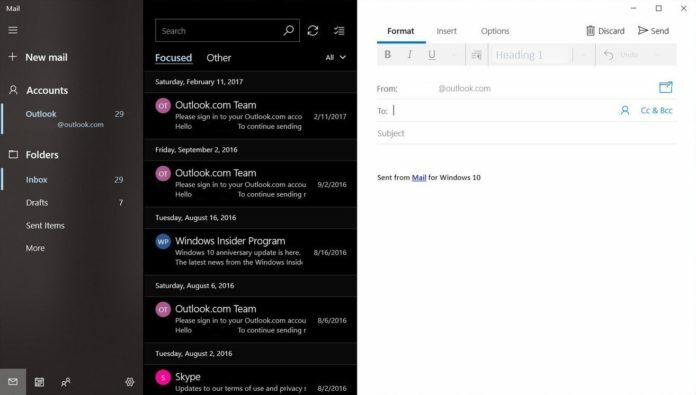 Microsoft recently redesigned the Mail and Calendar app for Windows 10 devices with a clean and concise look. The last update improved the user experience with acrylic and reveal effects on the menus of the Mail and Calendar app. The new version of Mail and Calendar app is available for the Windows 10 PC users and it can be downloaded from the Microsoft Store. Download Mail and Calendar for Windows 10.